The International Anthony Burgess Foundation is pleased to announce the publication of The Irwell Edition of the Works of Anthony Burgess. Launched in Burgess’s centenary year, this is the first critical edition of his novels and non-fiction. Burgess originally proposed a collected edition to Hutchinson, his British publisher, in 1980, and he indicated in a letter that he wanted it to be called ‘The Irwell Edition’, after ‘the muddy and graveolent river that crosses Manchester.’ This plan remained unfulfilled during Burgess’s lifetime, but Manchester University Press has agreed to publish what will become a complete, uniform edition of Burgess’s novels, autobiographies and non-fiction writings. Each volume of the Irwell Edition is published with a new introduction, an authoritative and annotated restored text, and unpublished material from the Burgess Archive. Written in 1952 and out of print for more than fifty years, Anthony Burgess’s first novel is a lost masterpiece. 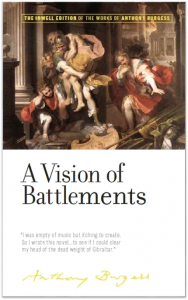 A Vision of Battlements is a retelling of Virgil’s Aeneid set in Gibraltar during the Second World War. Richard Ennis, a young musician who has been conscripted into the British Army, is posted to a garrison on the Rock where he is tasked with preparing the soldiers for life after the war. The Irwell Edition restores the text of the novel to its original state, and explains the literary, historical, and publishing contexts through a new introduction and a detailed set of notes. 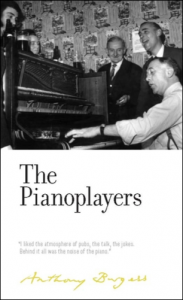 First published in 1986, The Pianoplayers tells the story of Ellen Henshaw, who is put in the doubtful care of her father Billy after her mother dies. Father and daughter share a picaresque series of adventures in the boarding houses, silent cinemas and music halls of Manchester and Blackpool in the 1920s. Based on Burgess’s own experiences of the north-west between the wars, this novel is a moving, funny and affectionate portrait of a lost world. The Irwell Edition offers a restored text, along with an introduction which discusses the worlds of music and theatre in which Burgess grew up. 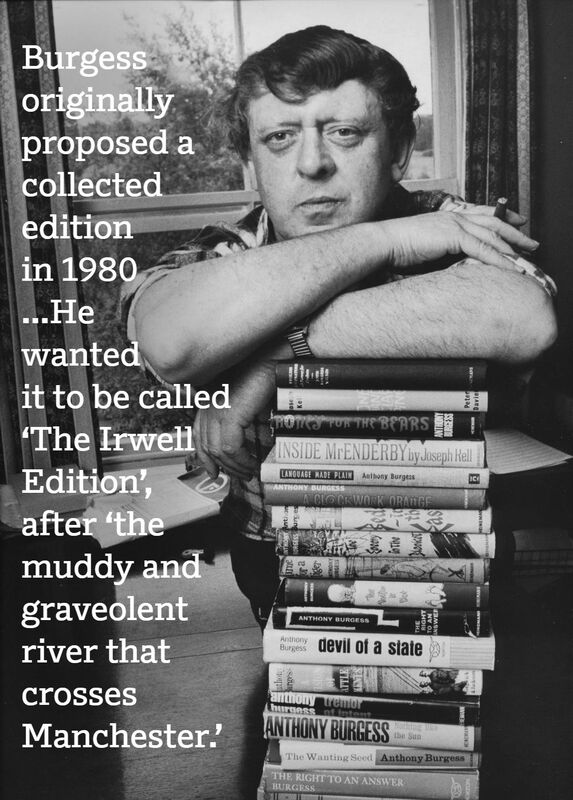 Forthcoming titles in The Irwell Edition of the Works of Anthony Burgess include They Wrote in English, Devil of a State, ABBA ABBA, This Man and Music, Puma and Beard’s Roman Women. Buy your own copy now at the Anthony Burgess site at Manchester University Press.